Celebrate Chicago&apos;s significant Latino culture with a visit to the Pilsen neighborhood and the 45th annual Fiesta Del Sol. The festival stands out from other neighborhood fests because it&apos;s family focused and alcohol and tobacco free. Explore the different regional Mexican dishes with visits to food vendors including La Cebollita Grill, La Michoacana Del Panda and El Ranchito Restaurant. Don&apos;t miss House of Sol, the city&apos;s only free DJ showcase focusing on Chicago&apos;s House Music culture. Don&apos;t miss noted South Side music innovator DJ Deeon and music producer DJ Stacy Kidd. 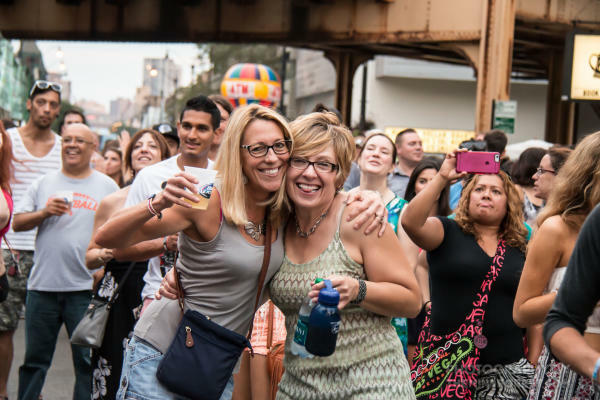 The Taste of Lincoln Ave. showcases the eclectic dining and shopping of the Lincoln Park neighborhood and is a favorite summer event for the entire city. While food is the major highlight, check out the Taste of Lincoln Wine Tasting on both days from 2-5pm, with bottles from Francis Ford Coppola and Palm Bay. Festivals galore fill our Chicago 2017 calendar — look ahead to August happenings too. Some summer weekly picks include Chicago SummerDance, going on in Grant Park Spirit of Music Garden through September 11, 2017, and the Grant Park Music Festival, playing in Millennium Park&apos;s Jay Pritzker Pavilion through August 19, 2017. BONUS: Both of these outdoor events are FREE, no admission or tickets required.